Our program is for youth, age 14-19. Do you take applications from youth from anywhere in the world? Yes, we accept applications from students from all over the world. What are the physical requirements for participating in the expedition? Participants must be in good health and able to engage in activities such as canoeing, hiking, swimming, and zip-lining. What is included in the cost of the expedition? For our 2019 expedition, once participants arrive at the location of the expedition location (Queen’s University Biology Station) all program activities within the 14 day expedition are covered. This includes accommodation, meals, outdoor activity costs, park entrance fees, and all of the education program (photography, filmmaking, and leadership). What is not included in the cost of the expedition? The cost does not include transportation to and from the expedition location, any accommodation prior to or after the expedition, spending money, any necessary medical treatments should they be needed, nor medical insurance. What is the total cost of the 2019 expedition? 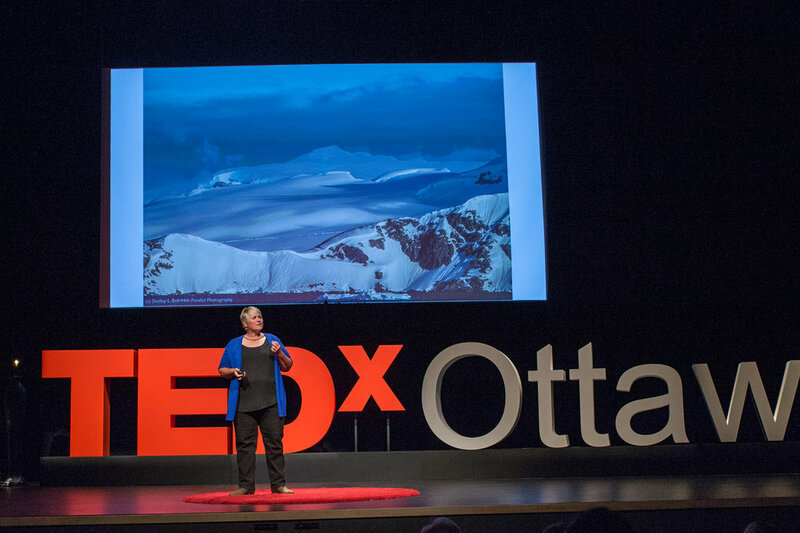 The total cost of the 2019 expedition program is $3,195 Canadian. There is no tax on this. Please download our application form on our homepage. 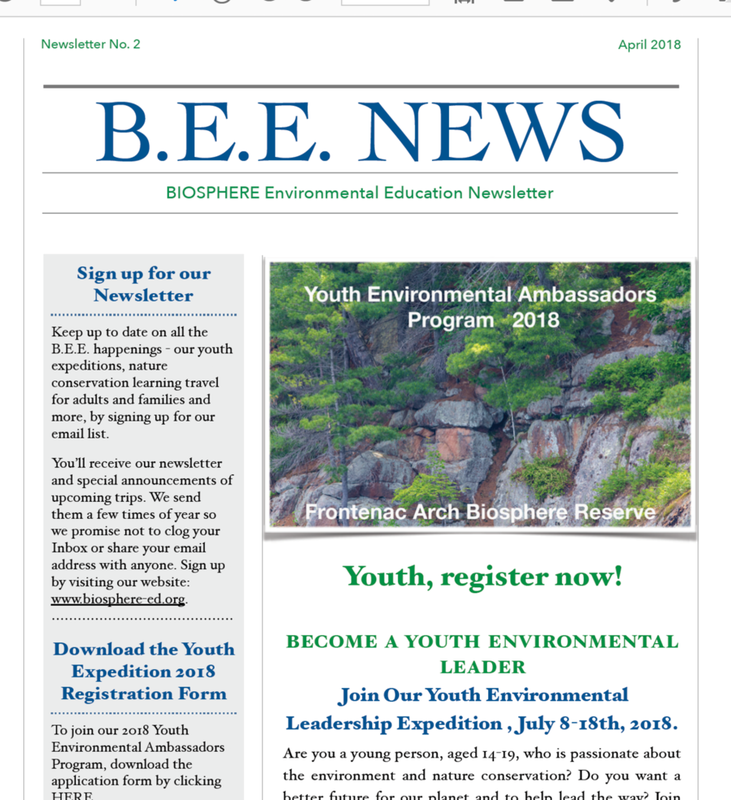 Complete the form, including the required signatures and send the forms to us at our email address (biosphere.ed@gmail.com) or the postal mailing address on the application form. As part of the application process, applicants are required to send us a video of them stating why they would like to participate int the Youth Environmental Leadership Expedition. Details on how to do this are in our application form. When will I have to pay my registration fee? You will not need to pay your registration fee until you have been accepted into the program. Once accepted, payment in full is required within 14 days of acceptance into our program in order to retain your place in the program. Payment can be made in the form of an e-transfer, international money transfer, or international money order. For international money transfers, there is an additional $50 fee to cover banking fees deducted by banking institutions. Yes. This is a requirement for participation in our expeditions. Proof of medical insurance coverage is required before registration can be finalized. How many participants will there be in the 2019 expedition? There will be a maximum of 8 participants in our 2019 program. How many expedition leaders/instructors will there be in the 2019 expedition? For our 2019 program, there will be a minimum of one expedition leader and one expedition assistant. What is the location for the 2019 expedition? The location of our 2019 program is at the Queen’s University Biology Station (QUBS) on Lake Opinicon, near Kingston, Ontario, Canada. QUBS is located on the Frontenac Arch, a unique geological feature which results in a unique combination of flora and fauna, making this one of Canada’s biodiversity hotspots. Do I need to have photography or filmmaking experience? No. You simply need to have an enthusiasm for learning visual storytelling through photography and filmmaking. Do I need to have camera equipment in order to participate in the expedition? You will need to have some sort of equipment for photography and filmmaking. At the minimum, this could be a smartphone, such as an iPhone. We will be using these and iPads for filmmaking. If you have a camera of any kind (point and shoot, dSLR, mirrorless, etc) we ask you to bring it. Do I need to bring a laptop computer? This is not a requirement, however, we do ask you to bring a laptop if you have one and to install basic photo-editing software so that you can view and edit your photos. Video editing will be done on an iMac desktop computer provided by the program. What kinds of outdoor activities does the expedition include? Outdoor activities include hiking, canoeing, swimming, zip-lining, and a boat tour of Lake Opinicon. We will also provide the opportunity for participants to complete a Safe Paddling Certificate. If you have any other questions, please do not hesitate to email us or phone us (+1 613-617-6524).